The all-new QX50 brings tailored craftsmanship into the next era of advanced driving technology. Representing a strengthened connection between driver and vehicle, QX50 can help detect, guide and even intervene in a fraction of a second. Featuring both the world-exclusive Variable Compression Turbo engine for efficient performance, and the new ProPILOT Assist system for peace-of-mind, the 2019 QX50 puts you at the center of every journey. Imagine having both sports car performance an eco-friendly efficiency on demand, working together to seamlessly empower and amplify your every desire. 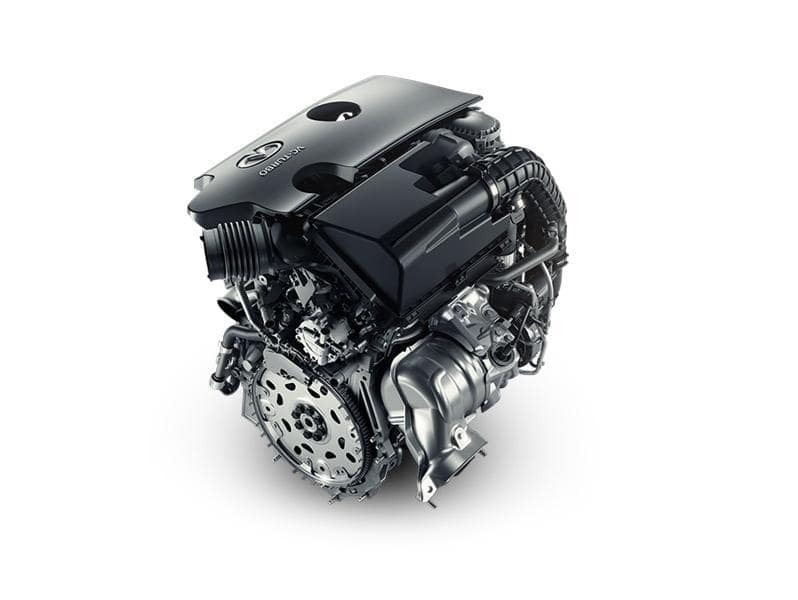 QX50’s groundbreaking new Variable Compression Turbo engine (VC-Turbo) brings that vision into reality as the world’s first publicly available Variable Compression ratio engine. The future isn’t driverless. The future is choosing when to drive. Designed to complement your natural abilities, INFINITI’s ProPILOT Assist1 suite of technologies enhances your drive with a variety of innovative features. Its hands-on steering assistance can help keep you centered in your lane, even on curved roads. Intelligent Cruise Control2 adjusts itself across a full range of speeds to keep a preset speed and distance from the car in front of you and has stop and hold function. Distance Control Assist3 can help maintain set distances between vehicles for stop-and-go and highway traffic alike. Together, QX50 and ProPILOT Assist give you the ultimate luxury of all: complete confidence. 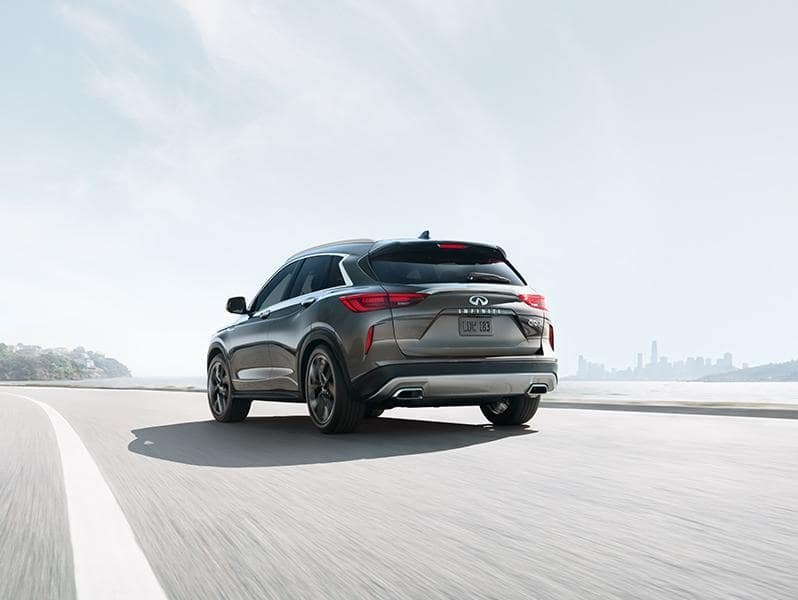 The all-new 2019 INFINITI QX50 – was completely designed around you, the driver. Every inch – every surface, gauge and angle – was meticulously crafted to empower the driver and ensure the comfort of the passenger. Unmistakably beautiful and flawlessly functional, the QX50’s hand-finished cabin places you at the center of everything, confident and in control. 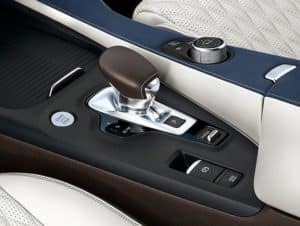 Contact us to get behind the wheel of the All-New 2019 INFINITI QX50. 1. ProPILOT Assist cannot prevent collisions. Always monitor traffic conditions and keep both hands on the steering wheel. See Owner’s Manual for safety information. Available feature. 2. Intelligent Cruise Control: Intelligent Cruise Control uses limited braking and is not a collision avoidance or warning system. Driver should monitor traffic conditions and brake as needed to prevent collisions. See Owner’s Manual for safety information. Available feature. 3. Distance Control uses limited braking and is not a collision avoidance or warning system. Driver should monitor traffic conditions and brake as needed to prevent collisions. See Owner’s Manual for safety information. Available feature.